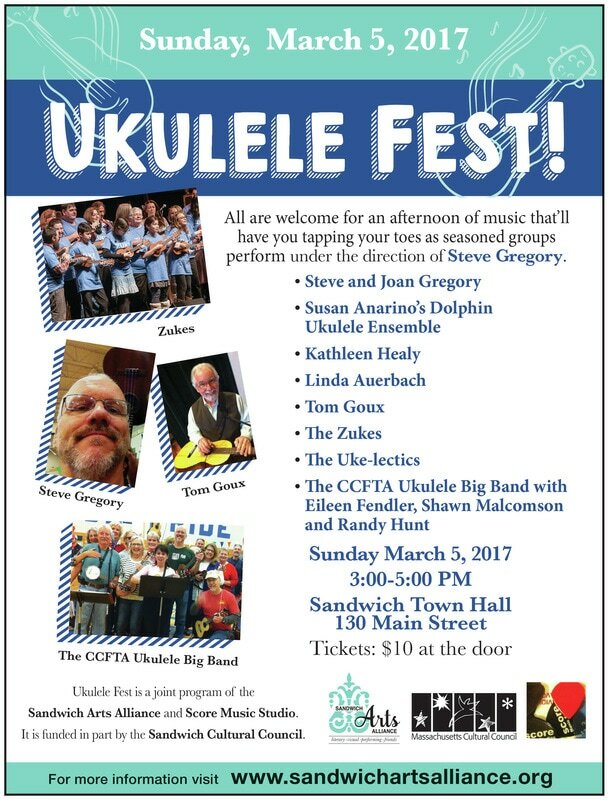 It’s time once again for the Annual Ukulele Fest, a joint effort of the Sandwich Arts Alliance, Glass Town Cultural District, and Score Music Studio, under the direction of Steve Gregory. Students of various levels of experience will have a chance to perform at Ukulele Fest. There will also be seasoned groups performing. All ages are welcome for an afternoon of music that’ll have you tapping your toes...and maybe leave you longing for a ukulele of your very own.